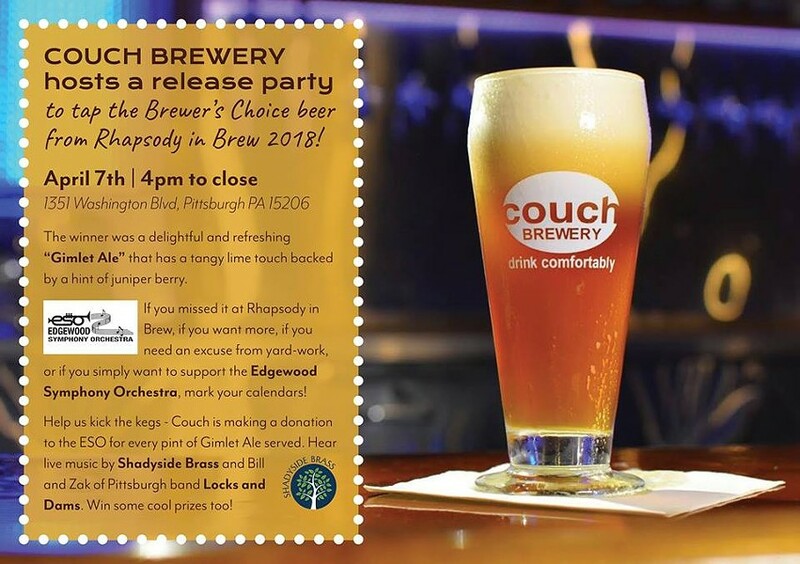 On April 7, Couch Brewery will release the winner of the ESO Rhapsody in Brew Homebrewing Competition-Gimlet Ale! Join us at Couch and help us kick the kegs - Couch is making a donation to the ESO for every pint of Gimlet Ale-the served. Hear live music by Bill and Zak of Pittsburgh Band Locks and Dams and the Shadyside Brass and win some cool prizes!